Not every company can afford to hire dedicated teams to focus on cost-saving initiatives such as subrogation or Anti-Fraud. Sometimes there is simply not enough work to justify a full-time position internally. Regardless, failing to focus on cost-saving programs can increase loss and expense payments. So how do most companies handle the situation? By adding those tasks to a claims handler’s already overloaded job function. 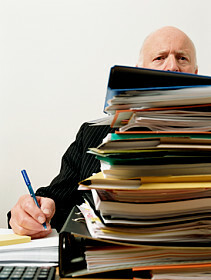 The problem is, the more tasks they are asked to do, the less they can focus on being a good claims handler. The usual result of overloading the claims handler is that they not only can’t focus on the core aspects of their job – to evaluate and settle claims – but they also can’t properly attend to the additional work. Both jobs end up suffering. Tasks such as subrogation and legal bill review are the last things claims handlers want to do. Furthermore, these tasks are better performed by dedicated staff. Take a look at any department with dedicated subrogation specialists and you will see higher rates of recovery than those without. This is also true in the areas of Anti-Fraud and litigation review. So how can a claim department maximize results and lower costs, while also ensuring claim handlers can continue to focus on their core job functions? From my own experience, two recommended practical solutions to consider are outsourcing with on-site vendors, and hiring part-time employees. Taking a page from my past, this post presents the first of two solutions that I implemented to secure successful results. Outsourcing certain aspects of the claims department can make good economic sense. However, not every company needs a 30-person call center, nor do they need to invest the resources to build one. In those instances, partnering with a vendor can be an ideal way to provide the best of the best. One of the potential problems, however, is if your company has only a limited need, the vendor may not always give you the most attention. Additionally, completely outsourcing the task means that claims handlers lose the benefits of the expertise that the vendor provides, and often may not even be aware of the available services offered. I was faced with this very issue when dealing with managing an Anti-Fraud unit. My solution was to require the vendor to have their employee “on-site” in our office. Looking for fraud is a key part of a claims handler’s job, and many states require fraud reporting to state investigators. The company I was working for had a substantial commercial casualty book, as well as other specialty lines of coverage. There was not quite enough work to justify a dedicated Special Investigation Unit, but still the work needed to be done. I decided to outsource the process to a Third Party Administrator who had an active SIU unit. The vendor was contracted to handle all the company’s SIU state reporting requirements as well provide any investigation services that our internal claim handlers needed. In addition they were to provide required Anti-Fraud training to our team, and perform audits of our claim handling TPA’s for compliance with Anti-Fraud reporting requirements. The vendor provided Anti-Fraud training to the team at the onset of the relationship, and then visited the office from time to time to provide updated training and answer questions. After a year of working with this vendor, we discovered that fraud referrals to the state were no different than before the vendor was hired. In discussing the issue with the claims handlers I learned that, despite initial training, the interaction with the vendor was typically reactive, and there was minimal regular contact with investigators. As a result handlers were not aware of the vendor’s range of services, nor did they even know how to properly identify Anti-Fraud red flags. The process and the program weren’t working and I had to make a change. I began to look for a new vendor who would provide a solution that would produce better results. I determined that the only way I was going to get more fraud referrals was to have someone sitting in the office on the front lines with the claims handler. For the new contract, I found a vendor that would assign a dedicated SIU investigator to sit in our office several days a week. With the investigator on-site, I was able to produce a more proactive approach to looking for potential fraud. Because they were on-site, the vendor was able to use our claims system to review files and actively monitor claims for potential fraud. This was not possible with our previous vendor in an an off-site reactive model. Once the new program started the difference was almost instantaneous. Claim handlers sought out advice about claims with possible fraud. Investigations increased and claim handlers became more proficient at identifying industry red flags. SIU state referrals increased over 200%, and due to new investigations, several files were able to have indemnity reductions. Handlers learned that sometimes something may not be an outright fraud but instead were exaggerated claims. With the assistance of the “on-site” investigator, handlers learned new ways to analyze damages and reduce loss costs. The program was a success. If it’s broken, then fix it. Don’t worry about changing your approach; it’s sometimes the best thing. Too often, leaving a merely adequate solution in place is worse than starting over to make improvements. Be persistent in thinking outside the box in an effort to find new ways to approach basic solutions. Having your vendors work on-site with your team can have many advantages, including the “absorption” effect. Your vendors’ expertise, knowledge, and skills are transferred to your internal staff. In Part 2, I will give an example of using a part-time attorney to review legal bills as a way to lower your legal expense dollars. Tagged with Anti-Fraud, Claims Costs, Claims Operations, Cost Savings, Expense Reduction, Improve, Lessons Learned, SIU.